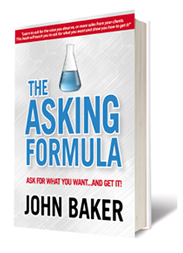 Varner will leverage Baker’s award-winning book and program “The Asking Formula” in The Millau Group’s current sales process – performance focused, certified measurement, and guaranteed effectiveness. 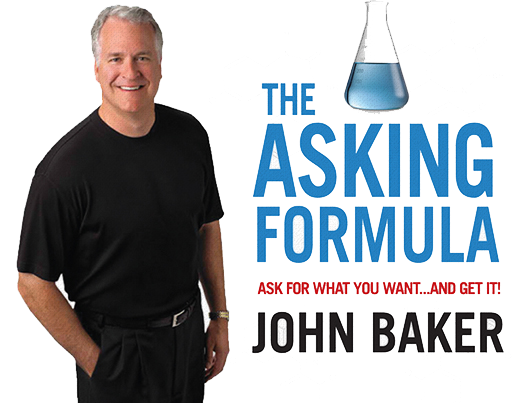 SAINT PAUL, MN (June 9, 2016) – John Baker today announced a strategic partnership with Dave Varner to integrate Baker’s award-winning program, “The Asking Formula,” into The Millau Group’s innovative sales training process, workshops, and preeminent expertise. Details of the partnership and workshops / programs are determined with each prospective company to best suit the goals of specific training needs, the individual business, and team culture. ASK UTM is currently an enterprise-packaged solution, available on iPad®, iPhone® and AndroidTM devices. Baker is President and CEO of READY Thinking Worldwide: the leading provider of thought leadership and training programs, including The Asking Formula. He is the author of two award-winning books: READY Thinking – Primed for Change and The Asking Formula – Ask For What You Want…And Get It. John’s background includes extensive experience in sales, leadership, and personal development. His past jobs included roles of COO and SVP at such leading firms as American Express and Ameriprise Financial. He currently serves the Secretary of Defense as an expert in the DoD’s Yellow Ribbon Reintegration Program. Thousands of individuals across the globe have participated in John’s training programs and have benefited from his message. The Asking Formula empowers people to immediately implement the most effective, straightforward and high-impact process for structuring best-in-class persuasive communications to achieve objectives. See ASK U in the iTunes store and on Google Play. TMG is evolving how organizations view sales training, evolving from a static approach that existed for more than 30 years. We work with our clients to implement an intuitive, easy to execute and managed sales process that produces guaranteed, measurable results and predictable growth in their businesses. Leave a reply / This entry was posted on June 9, 2016 by .